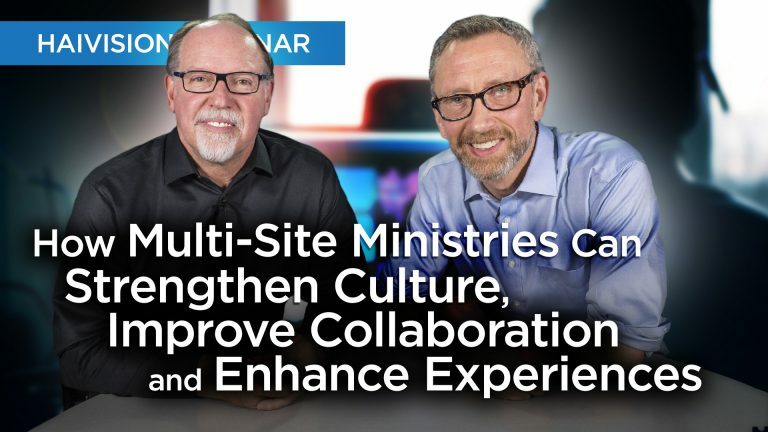 Discover how multi-mite ministries can strengthen culture, improve collaboration and enhance experiences with multi-site monitoring. The multi-site model has quickly emerged as a great option to grow your church and stay connected anywhere in the world. However, as ministries extend their reach across new locations, maintaining church culture and worship experience can become challenging. In this webinar, we’ll show you how monitoring the delivery and impact of your church’s message can give you new insight into your ministry and help you to align culture, enhance experiences, and improve collaboration and training efforts across your congregation, even in your non video-venues! Understanding the best practices and considerations that make for great multi-site experiences. How to use video streaming to help manage church culture across locations. How Haivision’s solution for multi-site monitoring can help you improve the delivery and impact of your message.